The artwork in this poster was unveiled during the Global Siddha Yoga Audio Satsang for New Years day 2009 A Sweet Surprise with Gurumayi Chidvilasananda. 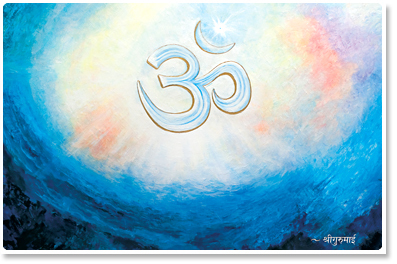 The design of AUM and artwork concept are by Gurumayi Chidvilasananda. The artwork was painted by Ode Droit, a Siddha Yoga student and artist.